Nature is a wondrous thing, from gorgeous waterfalls hidden deep in the mists of African jungles, to the open skies, and endless plains of the American midwest. Inhabiting these vast, and diverse, regions are countless species, each one unique, and fascinating. Throughout history, however, these beautiful creatures have suffered many existential dangers, from natural disasters to man-made incursions. Tragically, these events have led many species to their ultimate demise, rendering them extinct. However, all is not lost. Scientists, and wildlife protection agencies, across the globe, have contributed greatly to preventing the extinction of several endangered species. Animals such as the Arabian oryx, and the greater one-horned rhinoceros, have seen their condition lower from endangered to vulnerable in the last decade. While not perfect, such downgrades are a major leap in saving these magnificent creatures. Regardless, there are still plenty of animals facing extinction to this day. In writing this article, I hope to bring awareness to at least some of the most critically endangered animals. How devastating would it be to forever lose your favourite animal to preventable causes? Deep in the temperate forests of Russian Far East, you might catch a glimpse of the rare (only an average of 60 individuals still exist today) Amur leopard, who makes his home in the northernmost part of the region. Surprisingly, this subspecies has adapted to this much colder climate, unlike the typical leopards of the African savannahs. However, Amur leopards share similarities to other leopards, with the ability to chart run speeds up to nearly 40 miles per hour. It is also capable of leaping more than 10 feet vertically, and 20 feet horizontally. The Amur leopard is largely solitary, but it isn’t uncommon for males to stay with females after mating, even helping raise their children. These majestic beasts live for 10-15 years, with captivity raising it to 20 years. Inhabiting the central, and southern, parts of the Malay Peninsula, the Malayan tiger overall population size is a meager, estimated number of 250-340. It is often compared to the Indochinese tiger, although there exists no clear difference between the two. 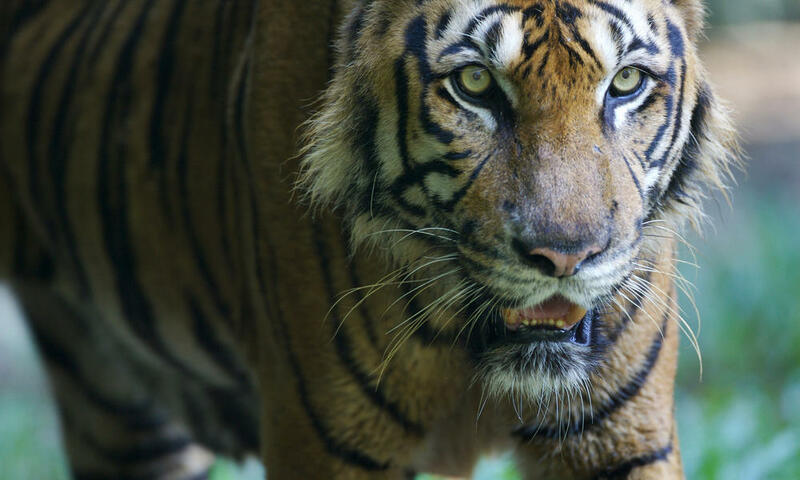 Compared to Indian tigers, however, Malayan tigers are smaller with the average male length being 8 ft 6 in (259 cm), and the female 7 ft 10 in (239 cm). These tigers generally feast on the sambar, and barking variations of deer, as well as serow, and Bornean bearded pigs. In addition, Malayan tigers prey on wild boar, which helps reduce the number of pests for local plantations, and other farmlands. Towering through the moist tropical forests of Sumatra, the Sumatran elephant is another critically endangered animal, with only 2,400-2,800 in existence today. These herbivores contribute to a healthy ecosystem by depositing the seeds of plants they eat wherever they go. 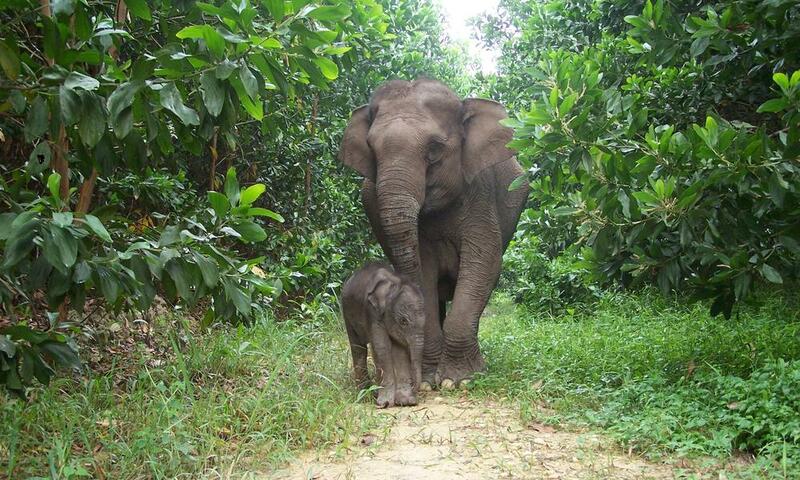 The Sumatran elephants stand from 5-9 feet, weigh nearly 5 tons, and measure 20 feet in length. These elephants, as well as many of the region’s other residents, are facing extinction due to increased deforestation. In a single generation, approximately 70 percent of the elephant’s habitat has been destroyed. This rampant destruction is due to the pulp and paper industries, and oil palm plantations of Sumatra’s Riau province. These magnificent creatures who are known for their two-three horns make their home in the wilds of Africa. 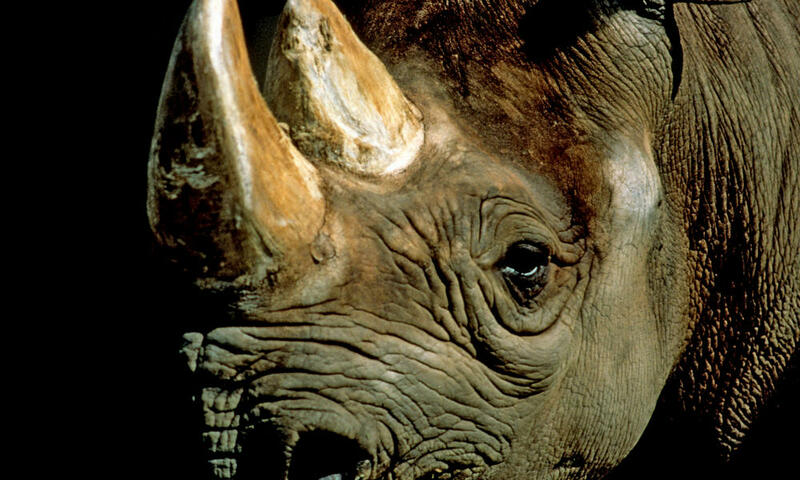 Unfortunately, fewer than 5,000 Black Rhinos remain in existence today. Early European hunters carry much of this blame, killing five or six rhinos daily for food, or purely for entertainment. The slaughter only continued in the early 20th century, when European settlers began to colonize Africa, and establish farms, and plantations. Most settlers viewed rhinos as mere vermin, killing them without hesitation. Unfortunately, these patterns have failed to cease. Poaching levels have reached record heights, as demand for rhino horn continues to increase. The newest discovery on this list, the Saola (sow-la) is often referred to as the Asian unicorn. Very little is known about these creatures, having only been discovered two decades ago in May of 1992 in Vietnam. Even the actual population size remains unknown. However, it is believed to be anywhere from a few dozen, to a few hundred. These beasts, a cousin of cattle, resemble antelopes with their two parallel, spindle horns that reach lengths of up to 20 inches. Both male, and female, grow these horns. In addition, white markings dot the Saola’s face, and they have large maxillary glands on their muzzles, which are thought to be used to attract mates or mark territory. Saolas are only found in the Annamite Mountains of Vietnam, and Laos, where the evergreen forests have little, to no, dry season. Deforestation is the largest threat to these animals. The rarest animal on this list, the Vaquita exists in numbers less than 30 as of November 2016. Discovered in 1958, the Vaquita are already nearing extinction, caused by illegal fishing operations in the Gulf of California. These marine mammals are frequently caught, and drowned, in gillnets used by these companies. This has related to losing more than half of the Vaquita population in the last three years. If gillnet bans are not enforced soon, the vaquita will likely be extinct by 2018. Imagine, as you gaze into your local river, a dolphin crests the surface, flashing you a smirk. Absolutely fascinating, right? Well, if you’re ever near the Yangtze River in China, you might see just that. 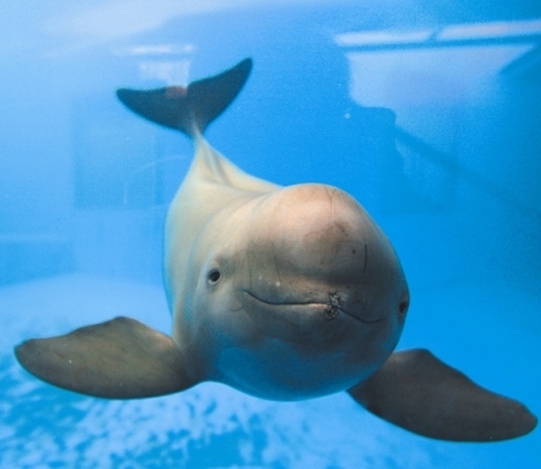 The Yangtze finless porpoise, and its iconic, mischievous smile, inhabits Asia’s longest river, feeding on the resident fish life. With an intelligence rivaling that of a gorilla, this beautiful creature is another tragic victim of human activity. With a population size of 1,000-1,800, these numbers continue to shrink due to overfishing, pollution, and ship movement in their natural habitats. If these harmful factors are not reduced and steadily monitored, the Yangtze finless porpoise faces becoming the second species in history to suffer complete annihilation solely by human activity. Named for their beak which is narrow, and pointed like a hawk, the Hawksbill inhabits the world’s tropical oceans, largely found in coral reefs. Their beaks play a major role in maintaining the health of their ecosystems, as the turtles use them to extract, and eat, sponges from crevices in the reefs. This allows better feeding access for local fish. In addition to eating sponges, the Hawksbill eats jellyfish, and sea anemones. 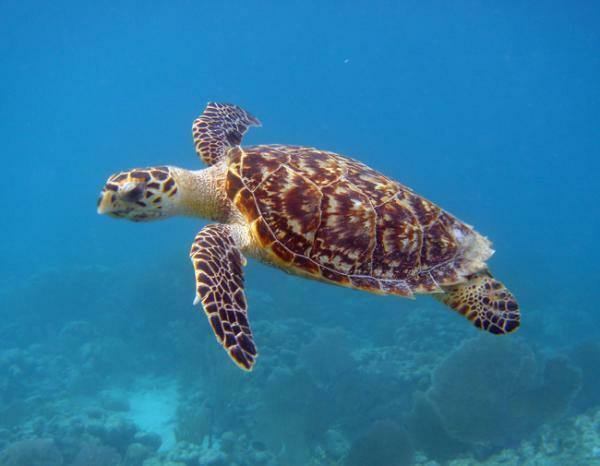 The Hawksbill turtle also has a unique shell pattern, where scales overlap to appear serrated on the edges. Unfortunately, these colourful shells are highly sought after, marking poaching as the biggest threat to the Hawksbill turtle population. 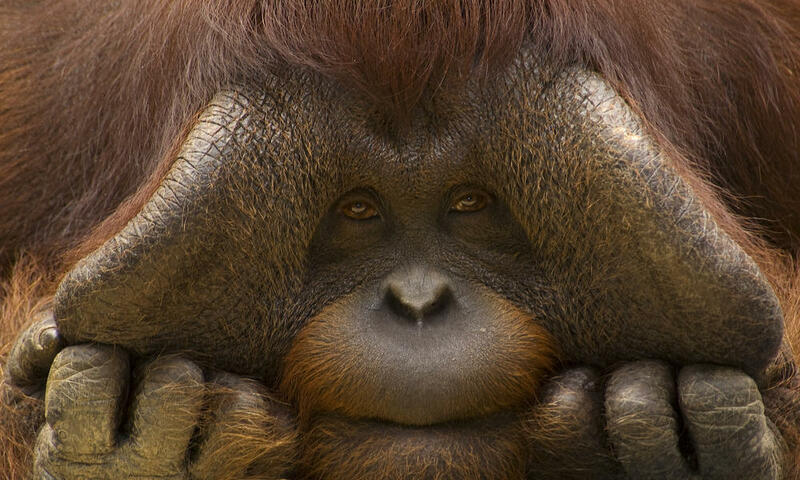 There is a multiple of orangutan subspecies, but none are as highly threatened as the Bornean orangutans. Located on the southeastern Asian island of Borneo, this orangutan differs from the Sumatran variation in appearance, having a broader face, shorter beard, and a slightly darker fur colour. The Bornean orangutans are separated into three subspecies based on their location in Borneo: Northwest, Northeast, and Central. The most threatened are the Northwest, with fewer than 1,500 individuals remaining due to continued deforestation, and hunting. The Northeast are the smallest in size, and the Central group contains the most numbers, with at least 35,000 orangutans. The estimated population size for all three of these groups amounts to 104,700. Deforestation and hunting aren’t the only dangers these orangutans face. Illegal wildlife trade values young orangutans as mere pets, trading their freedom, well-being, and happiness for a few hundred dollars. Orangutans are vital to their habitats, as they disperse over 500 various plant seeds from dieting. 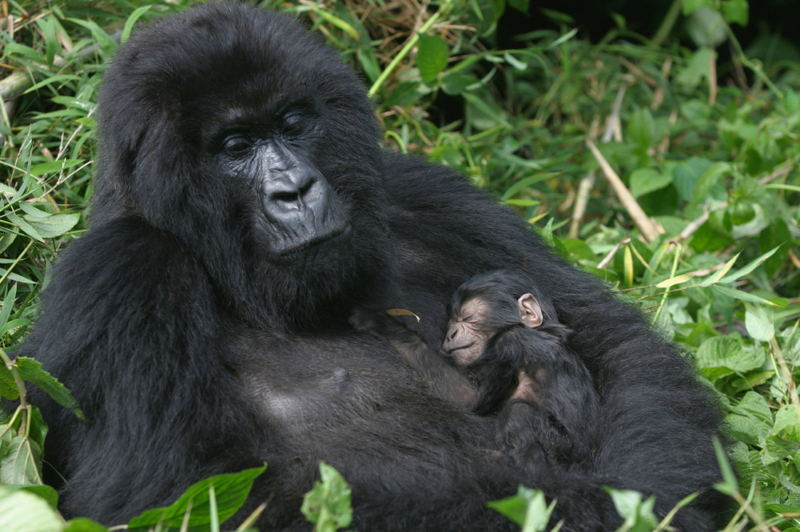 The world’s smallest population of mountain gorillas live in the Congo Basin, located high in the mountains, as their name implies. At elevations of 8,000 to 13,000 feet, these gorillas have adapted to the freezing temperatures by growing thicker fur, and more of it. Unfortunately, this adaptation only helps so much. As humans push to move further into the gorilla habitats, the mountain gorillas are forced to retreat into higher elevations; this means harsher, and more treacherous living conditions. However, all is not lost. From 1989 to today, successful conservation efforts have increased numbers from 620 to around 880.